Custom Guitars or Custom made Guitars vs Custom Handmade Guitars: Is there a difference? 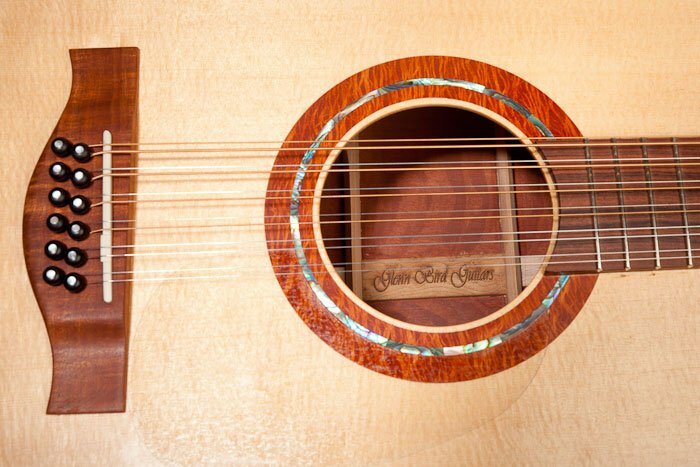 Custom guitars or custom made guitars compared to custom handmade guitars have differences that may not be apparent at first glance, yet these differences may be enormously significant to you. It is therefore important to realise what you may or may not be getting when you buy a ‘custom’ made guitar. ‘Custom guitar’ or ‘custom made guitar’ can be used to describe any guitar that differs somewhat from a standard factory produced guitar. 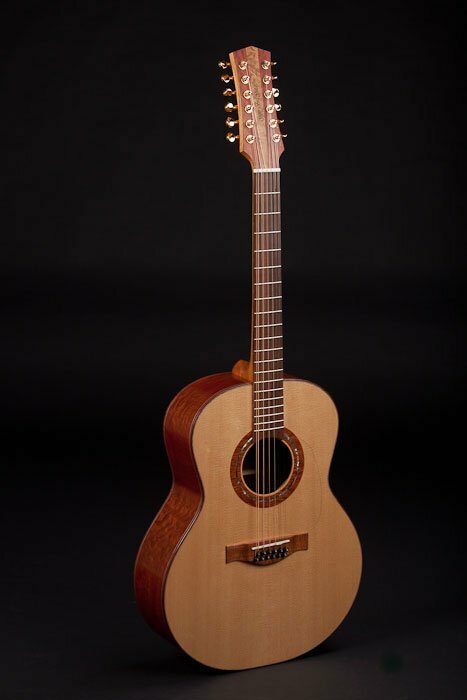 A custom made guitar will often only be superficially different to a standard mass produced guitar. The differences typically involve having a few different appointments such as colour, style of machine heads, colour of binding, style of rosette or fret board etc. The manufacturer may tell you that it was made in the custom shop at the factory and charge you quite a bit extra than for a standard model. 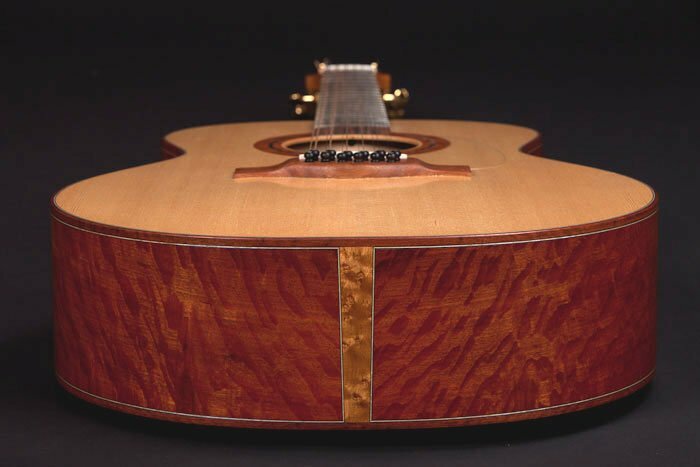 Yes, technically it will have been custom made somewhat to your specifications but compared to a custom handmade guitar, the degree of customisation is trivial. With a custom guitar or custom made guitar produced in a factory, you are probably going to be getting a guitar that is virtually the same as hundreds of standard guitars that are pumped out on any given day, week or month. In stark contrast, custom handmade guitars are made by guitar luthiers (or guitar makers) and in most cases involve great attention to detail. Custom handmade guitars are highly customised to suit the players and their hands, ears and eyes as well as their playing styles. Each guitar is literally made by hand, with each part crafted to fit and match the other parts perfectly. 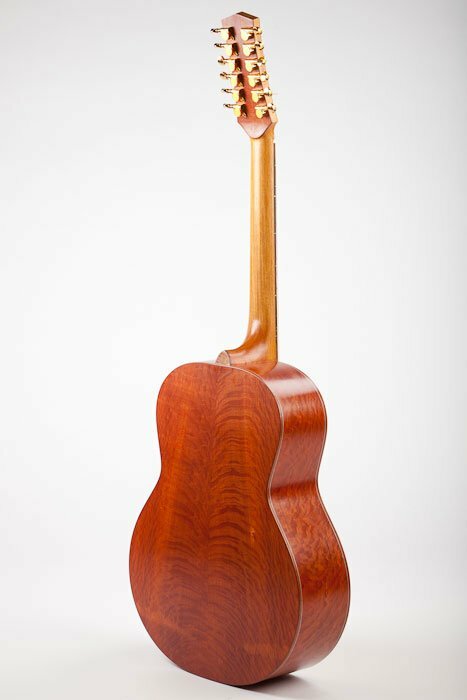 A luthier will select the right timber to suit your tonal and visual tastes and carefully and patiently work so that it produces the sounds you desire. In this way, the making of a custom handmade guitar is a highly personalised process. So there you have it. The difference is typically great. I hope that this has helped clear things up for those of you looking for your next guitar, be it a custom handmade guitar, a custom made guitar or a custom guitar.